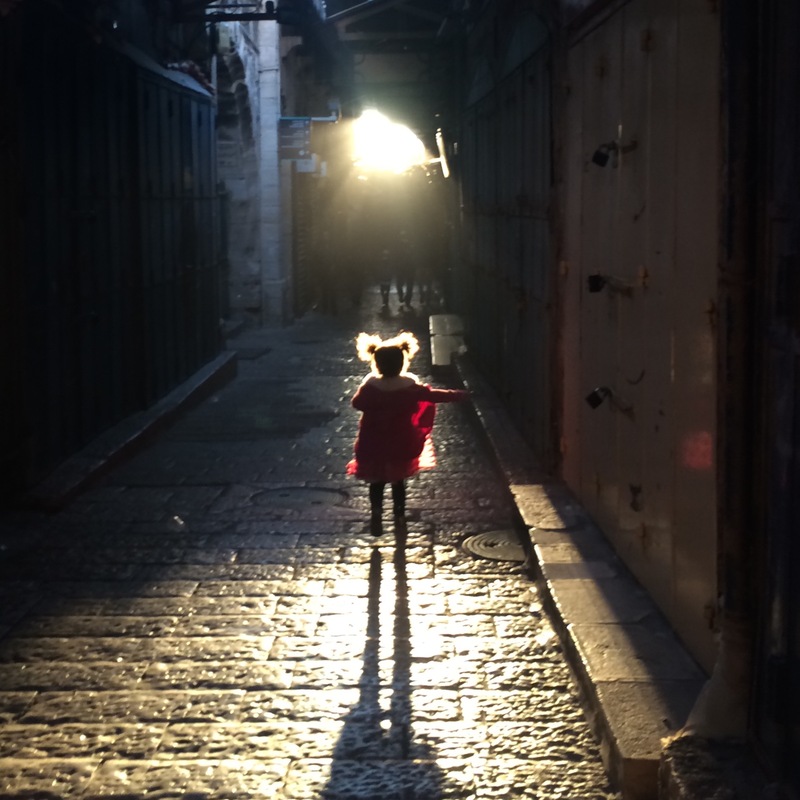 The photo above is of Jasmine skipping down the narrow passage ways of the Old City on our way to mass at the Church of the Holy Sepulchre, as the sun rose above Jerusalem this morning. Easter is my favorite religious holiday. I find it beautiful that Christians all over the world are today celebrating second chances. Jerusalem is often heartbreaking, and Easter reminds me that there is hope. And what are we, teeming masses of unwashed humanity that we are, without hope that tomorrow can be better?